“RubyGems.org contained a bug that could allow an attacker to replace some .gem files on our servers with a different file that they supplied.” It has since been fixed and existing gems have been verified. Uses the Google Vision API to automatically recognize human faces in images or identify inappropriate (violent/adult) content. Written to act as a benchmark for the Ruby3x3 goal (i.e. 'Ruby 3 will be 3 times faster'). I've not tried Mario yet but it runs the demo fine. 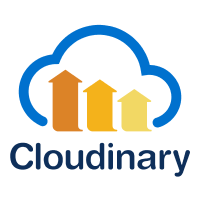 Cloudinary offers a solution to find the optimal responsive image dimensions for each specific image. The responsive breakpoints generation can be done programmatically using a cloud-based API or interactively using a new free open source web tool - the Responsive Breakpoints Generator. Thoughts on producing documentation for your Rails API, how to go about it, and what tools are available. This update to the popular RubyMine IDE brings support for the latest Rails 5 and Ruby 2.3, while also improving dev experience with better JS, TypeScript, VCS and database support and tools. No Performance Improvement with Frozen String Literals? Alex has tested numerous Ruby 2.3 features for speed improvements but hasn’t found the new frozen string pragma to help on a real world app. It’s an old branch (2.3 is latest) and 2.1.10 is otherwise identical to 2.1.9, but if you’re a library developer or tester, 2.1.10 lets you test support for 2 digit version numbers. Over 2,000 developers join us at SIGNAL for Real-Time Comms, IoT, and a conference party unlike any other - $Bash. A little used ActiveSupport method that provides a convenient way to do whitelisting in just one line. Brief walkthroughs of three sample code-related problems you might face when interviewing. From a veteran of the Ruby events world. Ecto is the de facto way to talk to databases from Elixir. A simple intro to interacting with the Twitter API from Ruby. Writing software that needs to be aware of different time-zones? Jake shares some code for accommodating this. Gregory isn’t sure about the selections process. Look back at what to do now, rather than push jobs into the future, says Lance. Based on customer feedback, Honeybadger has launched a suite of features that give you incredible control over how error alerts fit into your ops workflow. A library that backports a new Rails 5 feature to Rails 4: cache keys for ActiveRecord collections. Spree is a complete open source e-commerce solution on Rails.